Stratec possesses a wide range of tools and a diversified know-how within the field of transport economics. and by always taking into account the users’ behavior in order to really maximize the community benefits. This enables Stratec to provide comprehensive answers to all the aspects and issues related to the transportation of people and goods. Stratec participates in several European studies aiming the implementation of European transport corridors. The new infrastructure policy of the European Union consists in establishing an efficient European transport network across the 28 State members in order to promote growth and employment. 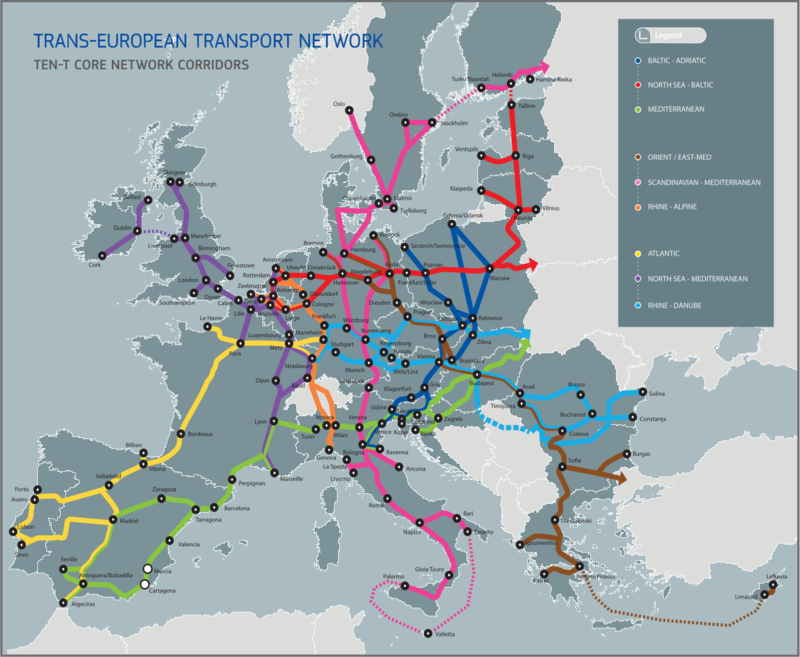 A central network consisting of 9 core network corridors has been defined to transform the connections on the east-west axis, eliminate bottlenecks, modernize the infrastructure and facilitate the cross-border transport flows of people and goods across the EU. This network contributes to establish the interconnection between the different transport modes and to achieve the climate change objectives. 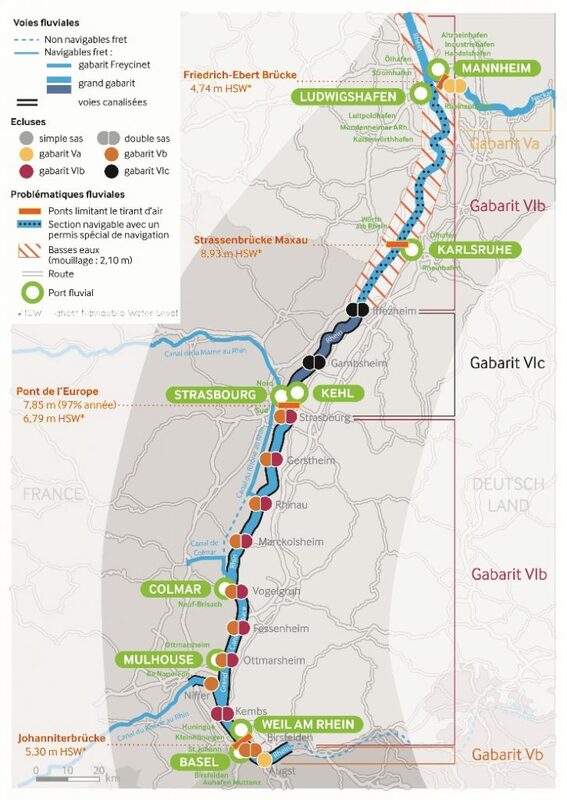 Stratec has joined forces with other consulting companies to assist the EU in analyzing networks and flows, and managing the projects concerning the 3 European corridors crossing Belgium, more in specific the corridors North See-Mediterranean, North See-Baltic and Rhine-Alpine. 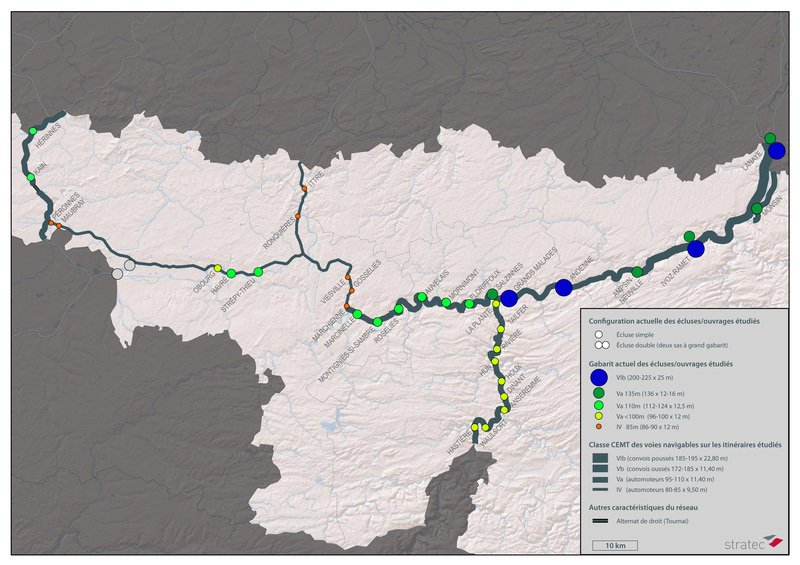 and more in specific regarding river transport. 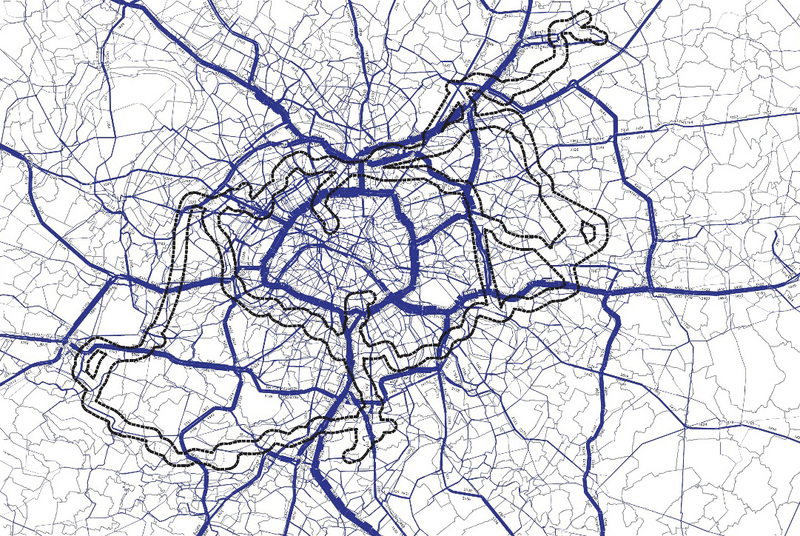 We built a multimodal transport model for the whole of Europe integrating demand, networks, and cost function per mode. This model has been refined over the years within the scope of a series of large-scale transnational projects which allowed us to obtain increasingly detailed results. 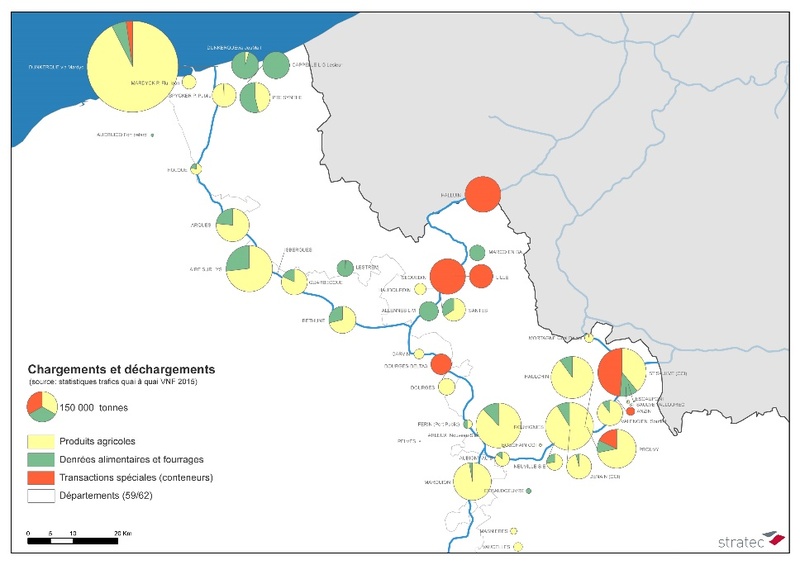 The model seeks to establish demand forecasting and cost-benefit analyses for infrastructure projects (increase of gauge, deepening of anchorage zones, …) or change of use projects (timetables, dredging). In the domain of freight studies, Stratec has also conducted benchmark studies concerning the revenues and expenses of infrastructure management, the internalization of external costs, the definition and optimization of toll charging, the user’s capacity to pay, and the evaluation of policies. Stratec has also acquired cutting-edge expertise in public transport. These studies address a wide variety of issues ranging from traffic forecasting; optimization of the supply (provision of services, operating hours …); tariff optimization; valorization of the quality of services from users’ perspective; socio-economic assessment of the project; calculation of the user charges; to energy balance. Stratec helps the public authorities to assess their choices and decisions in an objective manner. While conducting our studies, we had to apply different types of socio-economic assessment benchmarks, such as the benchmarks of the European Commission, the French instruction framework of Robien and Royal, the British benchmarks, the recommendations of the Brussels Capital Region, … which allows us having a critical look at the different methods and standards. Including ex-post evaluations This type of study allows to study and assess the socio-economic impacts of a public policy after its implementation, as well as the impact of the accompanying measures. 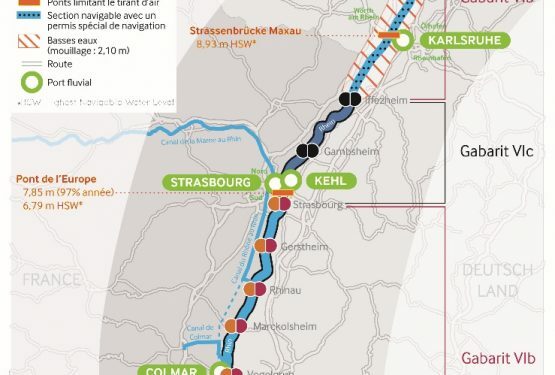 Stratec conducted this kind of study on the km charge for heavy vehicles in the Walloon Region. We evaluated the impact of the policy on the Walloon companies and Walloon economy, the attractiveness of the Walloon region and the Walloon community.